In the past I have never had much luck with Ixias. I have sown the seed and grown them in a greenhouse but they have never done as well as I would like even though I have had flowers after a few years. 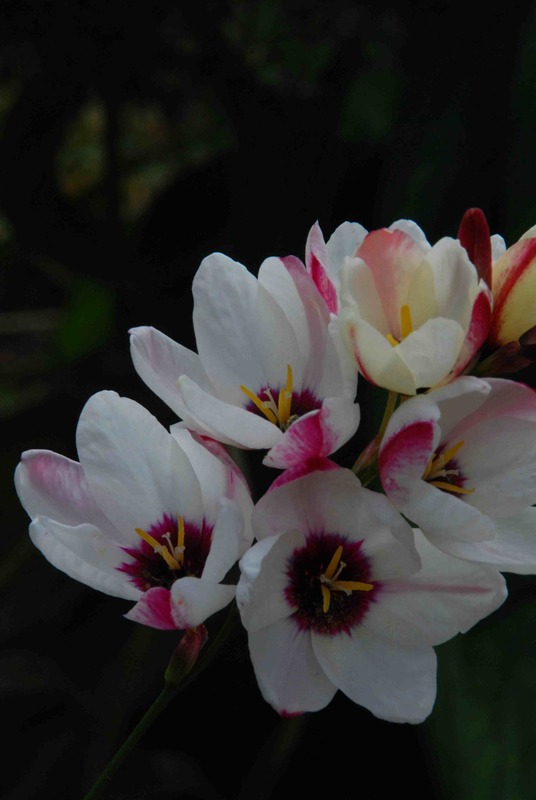 These South African corms must be easy to grow somewhere because packs of the small corms are inexpensive to buy in autumn in garden centres and look very appealing on the pack. But I wonder how many actually grow and manage to flower, because these winter-growing plants will not tolerate much frost and I am sure that most people pop them in the ground in autumn and expect them to behave much like daffodils and tulips. So last autumn I tried some outside, planting them near the echiums in very well-drained soil along with Iris bucharica as well as tulips and alliums. The problem is that they grow in winter but will only tolerate a few degrees of frost. The plants are slender, with narrow, grassy leaves. If grown under cover they do not make good windowsill plants and are better in a cool greenhouse. Because of their slender habit it is best to pack a lot in a pot. Outside, because of the mild winter the young leaves were relatively unscathed and I am pleased to report that many, but not all, survived and are now in bloom. The wiry stems carry, usually, unbranched scapes with a dozen or so flowers. These are quite large and most of my mix are white with a blackcurrant centre and red flushing to the buds though others are magenta and a mix should have a wide range of colours. Some descriptions say they are fragrant but I have not noticed this. If you grow enough they make good cut flowers. The blooms do not open fully unless the weather is warm and sunny. 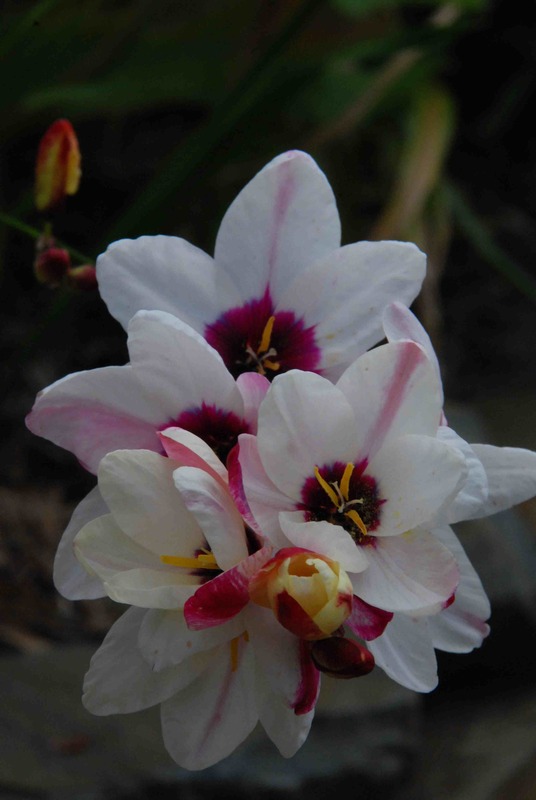 They are in the iris family (Iridaceae) and are sometimes called corn lilies although they are not lilies at all.